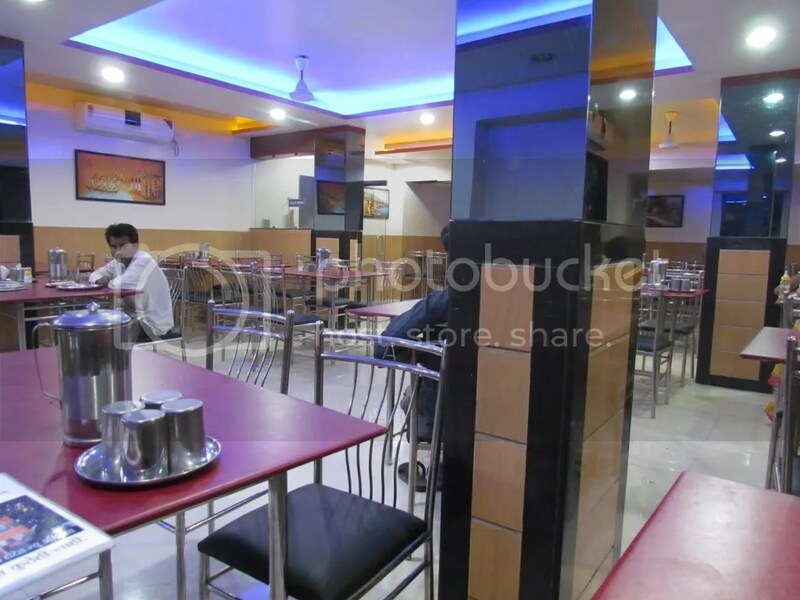 Good Maharashtrian vegetarian food along with Vegetarian food from other States of India – Good prompt service, simple & good interiors, enjoyable. How to get there: Drive towards Jalna on Aurangabad Jalna road. Reach Cambridge School (Google map). Keep going 2 – 3 km post that in the same direction. Abhijeet will be on ur left. At the entrance of the restaurant u find a hand painted wall that looks old & says ‘New Abhijeet’. On the left, there is a new signboard with the name written on metal. As u enter there is an open air section that looks old as well. However as u cross this area u walk into a fairly large room that is surely new & well maintained – the indoor dining hall. 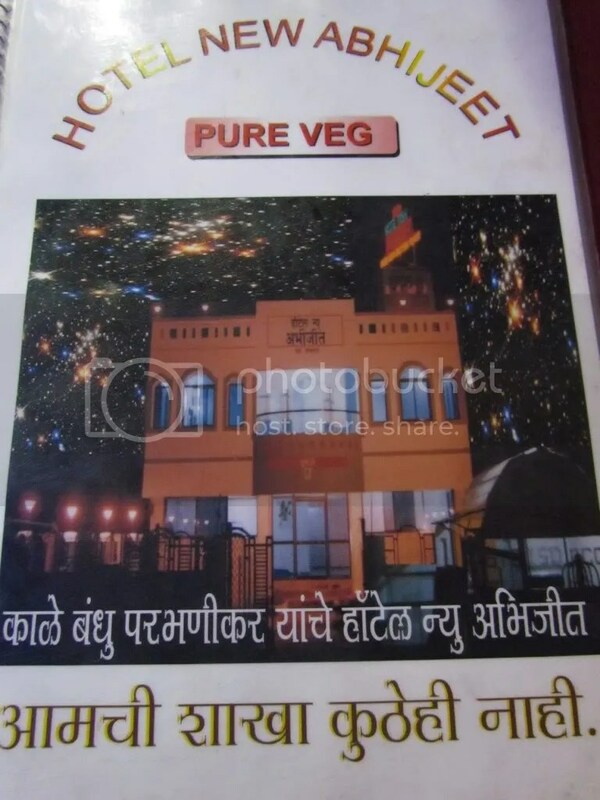 This is a pure vegetarian joint with Maharashtra food, South Indian, Rajasthani food & Punjabi food being offered. I saw some vegetarian ‘Chinjabi’ food as well on the menu. The menu card looks impressive from outside with a picture of the restaurant. 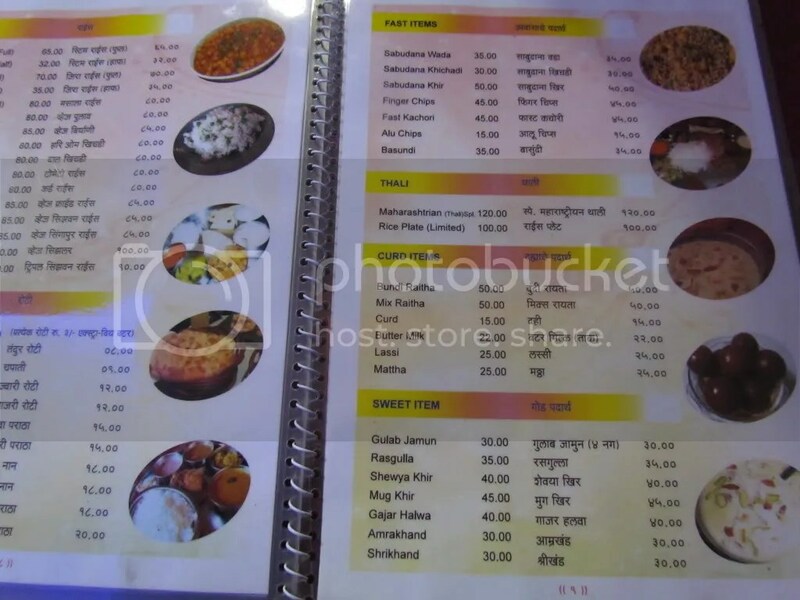 The way the menu card is organized reminded me of my travels to China – Photographs of food along with the menu card. Interesting – Not too many rastaurants do this even today. The service is fast & good. The guy waiting on us patiently replied to a volley of questions that I had – all with a smiling face. The discussion was mainly about Local food. He suggested a starter that we found to be good & in consultation with him we ordered the main course. Liked some & loved some – thankfully were not dissappointed by any. As mentioned above, we had not even planned for a starter & it was the guy waiting on us who suggested rather firmly that we must try Matki fry. This suggestion was after we made it clear to him that we ‘do not want to have punjabi, rajasthani or anything else other than Maharashtrian. It was essentially Whole moong daal stir fried with juliennes of ginger, little pieces of onions & tomatoes. It was cooked well but not overcooked. The dish was garnished with corainder leaves & slices of raw onions. It was very different from any starter I have had recently & was nice. It was not outstanding though. I am highly likely to reorder this next time. For maincourse we ordered three curries with jowar ki roti. 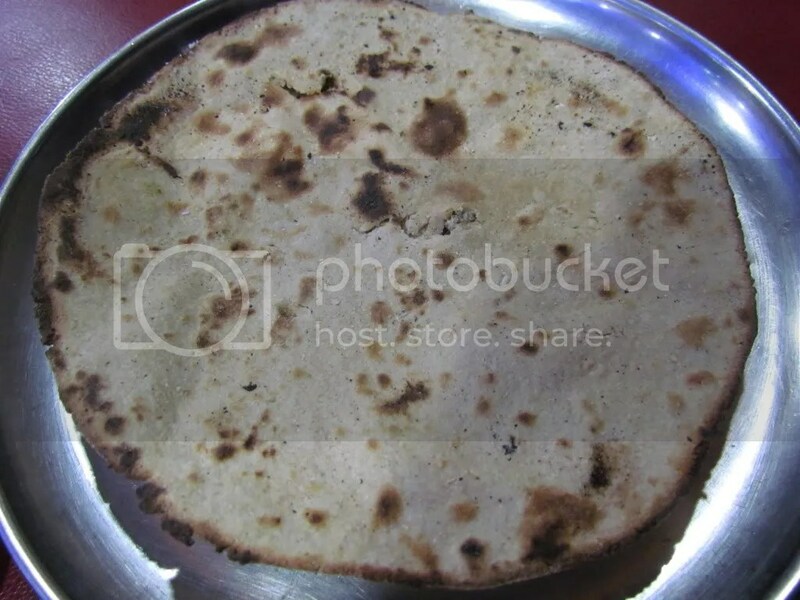 I have had the Rajasthani version of Jowar ki roti which is slightly thicker. But this one was thin like the usual phulka roti but crispy, coarse & brittle in texture. 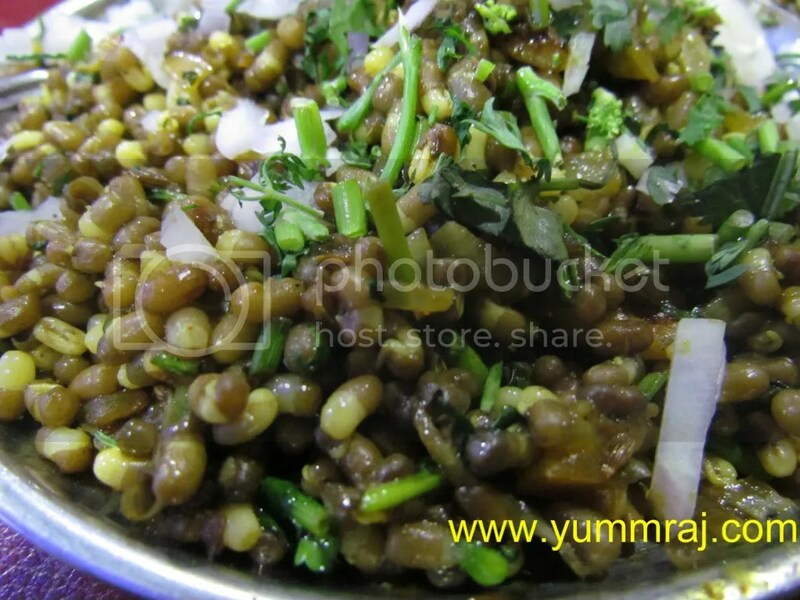 Lahsooni methi was he first of the side dishes to be served. As I started muching it, I at times felt that it was similar to something I have had before – for quite some time it kept bugging me till suddenly I figured this out. It was like bokchoy – garlic stir fry that I have had in China. 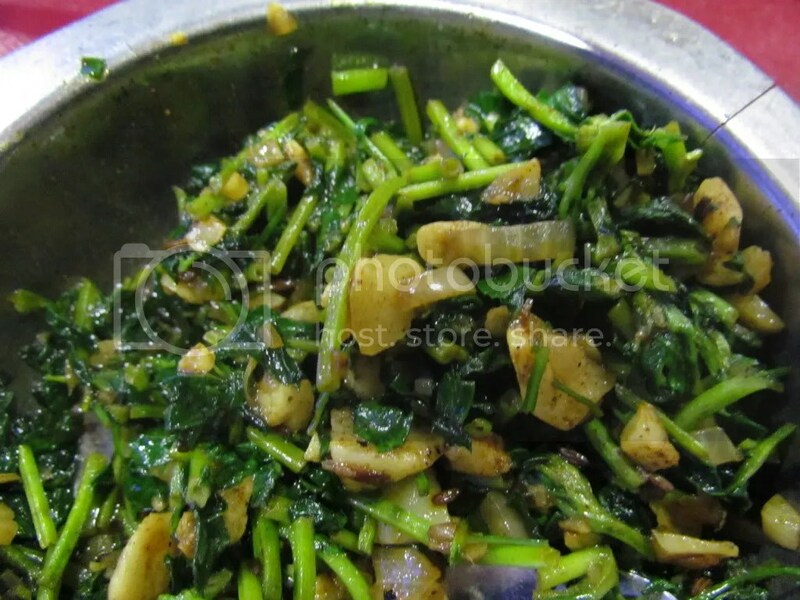 Lahsooni methi is large chunks of garlic (lahsoon) stir fried with methi (fenugreek) leaves. Surprisingly the stands of methi were super soft – it is very difficult to soften methi while keeping the texture good. So the momemt u put the curry into the mouth, the juices burst out – garlic, stir fry oil & the methi. Really really nice – a must try if u visit Abhijeet. I was told by a friend of mine that a dish called Baingan (brinjal / aubergine) Handi is very good here. So as we asked for that we figured out that anything that is ‘handi’ is a large portion to be shared by 4 people. 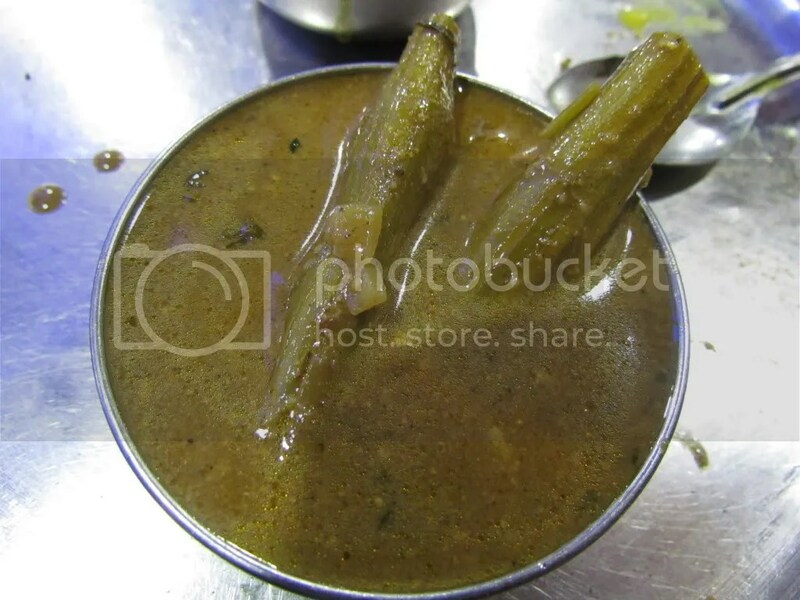 The guy suggested that we try shebhaga (called Drumsticks, called sojney daata in bengali, swanjna in hindi) instead of baingan – ‘the vegetable is different but the curry is essentially the same’. We were also told that this curry was made from 56 different spices & they were all pounded inhouse – no powdered spices were used. The gravy was really different & very nice. Very very unique – there is no benchmark to this non oily but spicy, (the word spicy does not mean it is hot but it means that the curry is full of different flavors due to the spices that go in). Loved it. 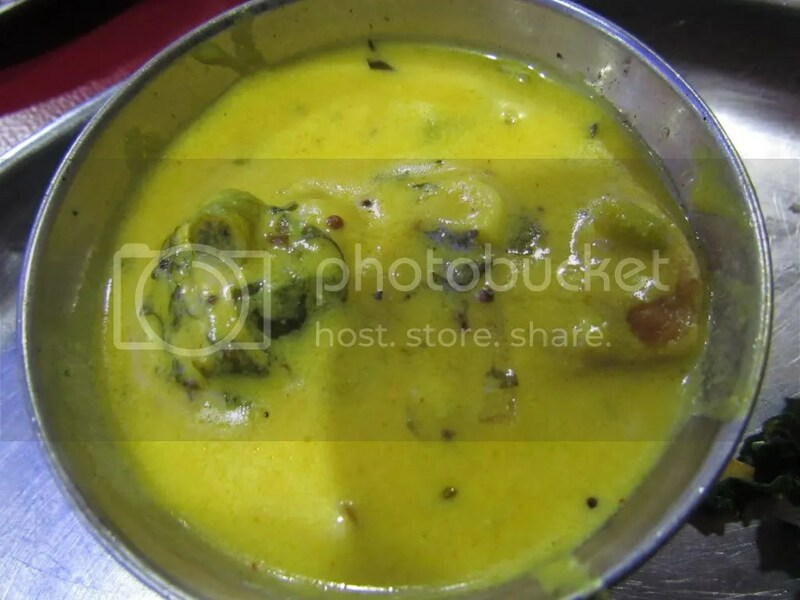 The third on the menu we selected was a local version of Kadhi pakora. This Kadhi tasted lot more sour than the Punjabi version & had a unique feel to it. Liked it. The Pakoras were the same as the Punjabi ones & were good to taste & soft in texture. Liked it. We were too full for a dessert& hence skipped it. Overall – A bit away from the main city – approx 4 km from airport on the Jalna road. That is the only disadvantage. 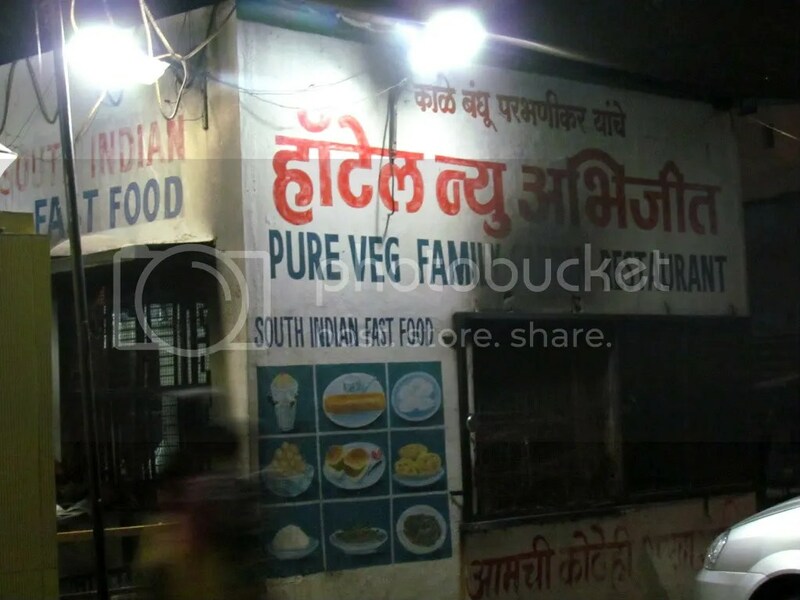 If u manage to reach here, u will love the vegetarian food – specially the ones I mentioned. The best maharashtrian food ever ! thanks for sharing ur views, pramod.